You may already eagerly anticipate the launch or release to retail market for one or more of these consumer electronic gadgets, or even own one or a lot of them in your digital household. However, if you think you’re the unique individual or unique pioneer who are the only one own the lovely gadgets, think again. According to Topology Research Institute located in Taiwan, one of the world’s electronics manufacturing base, the following list of top 10 technology products will have either high, extremely high or exponentially growth rate in year 2007 and beyond, till at least 2010. 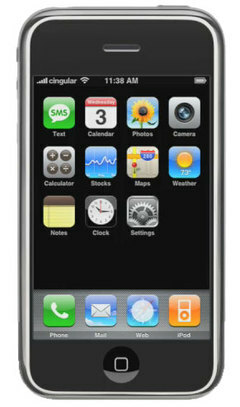 Apple iPhone – Not even yet released (expected in coming June 2007), but the hotly anticipated music-playing cell phone has already generated enough buzz and interest for its advanced and revolutionary software and touch-screen panel. And due to the fact that no pre-order or waiting list is allowed by the iPhone exclusive carrier AT&T (Cingular), expect a long multi-days/nights queue and crazy bidding war on eBay. Apple iPhone is expected to grow more than explosive 50% in coming years. 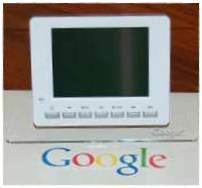 Electronic Photo Frame – Google gave away one to its Google AdWords and AdSense customers as Christmas gift for 2006 season. But expect more and more owning this device that able to display digital pictures as the price of electronic photo album falls in price, and slowly become favorite gadget as gift in holiday season. Expect sales peak during Christmas season and as iPhone, experiences exponential growth rate of more than 50% each year. 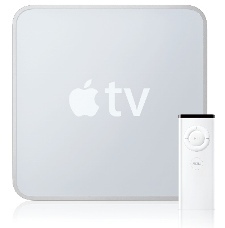 Apple TV – Apple TV is a media extender network device that play digital content originating from any Mac OS X or Windows computer running iTunes onto an enhanced-definition or high-definition widescreen television. LEB NB – Notebook computer that using LED backlighting. LED backlight unit (BLU) is more environmentally friendly, light, energy saving and other advantages such as more natural colors reproduction. Portable Navigation Device (PND) or more commonly known as GPS global positioning and navigation system – This alone is expected to ship more than 17 millions units worldwide, and is expected to grown in term of unit sold and revenue for about 30% to 50% in coming years. Electronic Paper, also called E-Paper or Electronic Ink – It is a display technology that mimic the appearance of regular ink on paper. However, its contents or text is erasable and been changed or replaced with new text of images, making it an environmentally friendlier than an actual paper, although less flexible. Satellite Radio or Subscription Radio (SR). You can receive digital radio signal over much wider geographical area with the signal that is been broadcasting by a communications satellite. Sony PlayStation 3 (PS3) – Even with slower start and lukewarm response so far, nobody dare to write it off. However, expert the sales volume to increase at a lower growth rate of between 10% to 30%. Nintendo Wii – The motion detection gaming console is popular now, and will continue to be popular in the coming years. 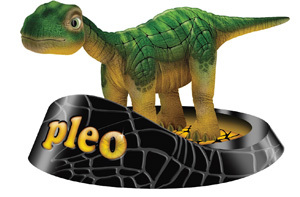 Electronic Toys or Robotic Toys – Typical of them is Furby (used to be a ‘must-have’) and Pleo, which can interact with human and even has some sort of intelligent learning capabilities. Unfamiliar with the list? All the usual suspect such as digital camera, DVD player, MP3 player or digital media player and LCD TV are now mature commodity with low sales growth rate, where most already been sold more than 50 million units, some even more than 100 million units worldwide. The top 10 future gadgets list was established based on recognition of consumers towards the products, price, the need of market and etc.